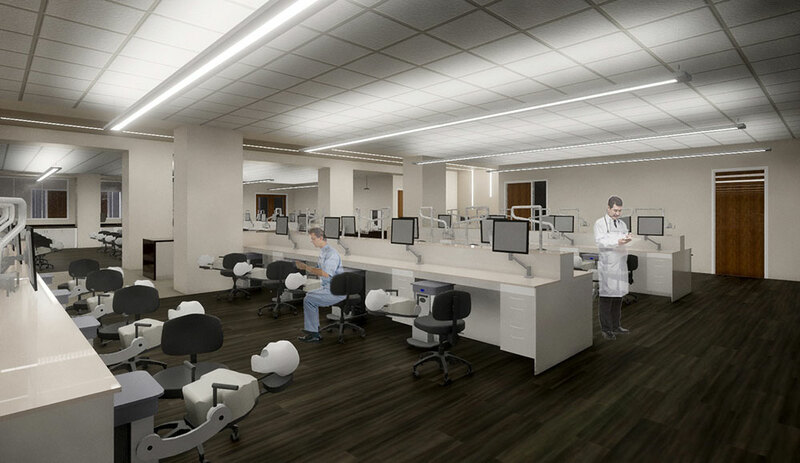 The Texas House of Representatives approved an appropriations bill that would provide $20 million for the new Woody L. Hunt School of Dental Medicine at Texas Tech University Health Sciences Center El Paso. House Bill 1, which is the state’s proposed 2020-2021 budget that contains the $20 million for the dental school, passed unanimously on March 28. It will now move to the Texas Senate for consideration. While the appropriations bill works its way through the legislature, TTUHSC El Paso President Richard Lange, M.D., M.B.A., has been making the case for locating the dental school in El Paso. Dr. Lange was a guest on a recent broadcast of the Texas Standard radio program. Dr. Lange said a new dental school in El Paso could alleviate that West Texas disparity. Right now, the closest dental school to El Paso is 550 miles away. Read the Texas Standard’s article and listen to the interview with Dr. Lange. The San Antonio Express-News and the Lubbock Avalanche-Journal have also written editorials in support of the WLHSDM. An artist’s rendering of the Dental Learning Center within the Woody L. Hunt School of Dental Medicine.